In this days of cloud computing and artificial intelligence, investing in data security and training on how to keep up the company’s data integrity should be the priority of every serious business. It doesn’t matter if the firm’s daily tasks is done offline, remotely or via internet locations: Data security is such an important aspect of every business and as such must be treated without any form of levity. With the recent rise in the number of high-profile data breaches, sophisticated social engineering methods and malicious phishing schemes; Cyber security should be a priority for businesses, big or small. Many companies around the world, however, still do not offer data security training to IT teams and employees. The technical aspect in any business is really an important consideration to make because data is crucial in achieving business goals. Who Should Undergo Data Security Training? In your business, all staff who touch a computer should be trained for cyber security. Hackers primarily use email attachments in order to install a code or ransomware on your computers. You need to prioritize this because by 2021, it is expected that more than 4 billion people will be affected by human attack surface or those employees using computers. 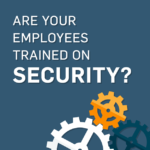 Data security training helps mitigate exposure of employees to email attachments and hacks. If you don’t want to lose big money due to cyber attacks, you need to invest in this type of training today. You can click here to learn more and explore about data security training. When you train employees, you will understand their potential, weaknesses, and strengths. Training your talents can help mold them to become better at what they do. Also, you can gear them up in the unique environment and culture of your company. Reduce recruitment costs and turnover risks. In addition, you can reduce salary expectation internal promotion by training hire-ins. Keep up with the continual advancement of cyber crimes and data attacks. Continual training can guarantee data security while preventing leaks that can greatly impact on your company’s reputation. With cyber security skill sets, your employees deeply understand your company environment and network. It gives them the edge to counterattack cyber criminals no matter the tools or systems used. First thing you need is to get an administrator buy-in that will determine the weakest areas in your business database and security system. Assess your organization’s needs and identify what department requires the most protection. It’s also important to be aware of how much employees understand in terms of data security, data encryption, password security and internet/network leaks. Then you create micro-learning opportunities while focusing on phishing scams. There has to be a standard password policy to ensure cyber security in all computers used by employees. Training your team often can also help resolve cyber issues and dissolve potential data leaks. The thing is, you need to make the training an ongoing process and a team effort to succeed in all your endeavors. It is great to hire a data security manager that will focus on the protection of your business data. However, it takes only one computer to be hacked that’s why it is best to ensure that all your employees are updated of the latest cyber threats. You need to engage the whole workforce to keep all data safeguarded. All in all, every business should be aware of the importance of data security and make provision for a competent data security manager that will ensure a 100% adherence to “security best practices”. Making sure that your company’s hardware and operating system is up to date and using a reliable security suite is another way of preventing data breaches, security leaks and possible compromise to your company’s data integrity.